Roof Inspections in Massachusetts | Nor'easter Roofing Inc. Unlike most elements of your home, your roof has no shield from constant wear and tear from wind and weather. Since your roof protects the house, its contents, and your loved ones, it is important to keep up with regular maintenance and prevent major problems from forming as early as possible. Having your roof inspected every six months by a licensed contractor will provide peace of mind and allow you to fix issues before it is too late. 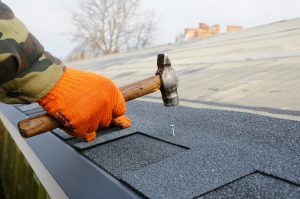 Nor’easter Roofing provides comprehensive roof inspections across Massachusetts. While your roof is being examined, each layer is being checked for damage due to weather, animals or age. If a part of your roof is beginning to sag, it will need to be addressed immediately to prevent damage to the rest of the structure. Missing shingles will be replaced and the ones in place will be checked for tears and buckling. The security of your shingles on the roof and amount of granules still on the shingle will also be evaluated in a check for aging. The flashing will be examined and tightened around the joints of the roof and missing caulk will be reapplied. Your gutters and exterior pipes will be checked for damage and rust, and the wood around them will be examined for forming rot. Problem areas throughout the roof will be noted and estimates will be given for repairs and replacement based on the amount of damage sustained. If your roof is in need of inspection and repair, contact Nor’easter Roofing. We will work with your schedule to arrange a time for Rob Chaille to come to your home and assess your roof for forming problems and schedule quick repairs. Nor’easter Roofing can be reached by calling 508-667-3278 or by filling out our online contact form.